For a while I didn't think Scorcher would actually make a return to the music scene after he embarked on his new journey of acting. Hailed as one the UK's leading Grime emcees, the actor and award-winning producer has reappeared with his brand new track ‘Work Get It’, produced by TSB. Scorcher, does it big as he comes with an allstar lineup of Wretch 32, Mercston and singer Ari who delivers with a catchy hook on the song. ‘Work Get It’ is the first single from his forthcoming EP, and is his latest release since his third edition of ‘Simply The Best’ mixtape collection - back in 2012. "I'm trying to make music people can live with more than just music for the club, radio or car. I'm trying to bring people into my world and be part of it, like IMAX." After getting premiered on BBC Radio 1Xtra's Mistajam show - fans have been left with a taste of what's to come from Scorcher and his new EP. 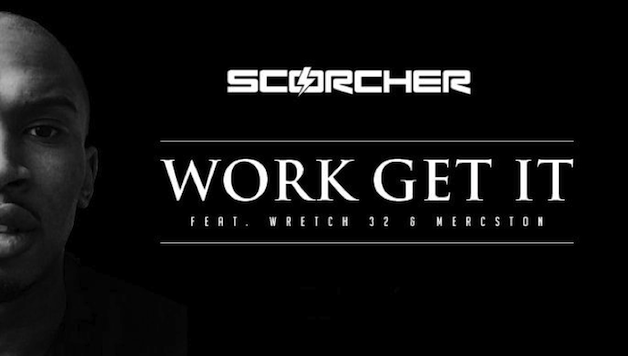 ‘Work Get It’ will be released on June 22 as part of his brand new EP. Listen to ‘Work Get It’ below. Is this the "it" track we've been waiting for from Scorcher for a while now?